is a beautiful fairy tale about the rainbow. Enjoy the colorful illustrations that are collages made from torn wallpaper. 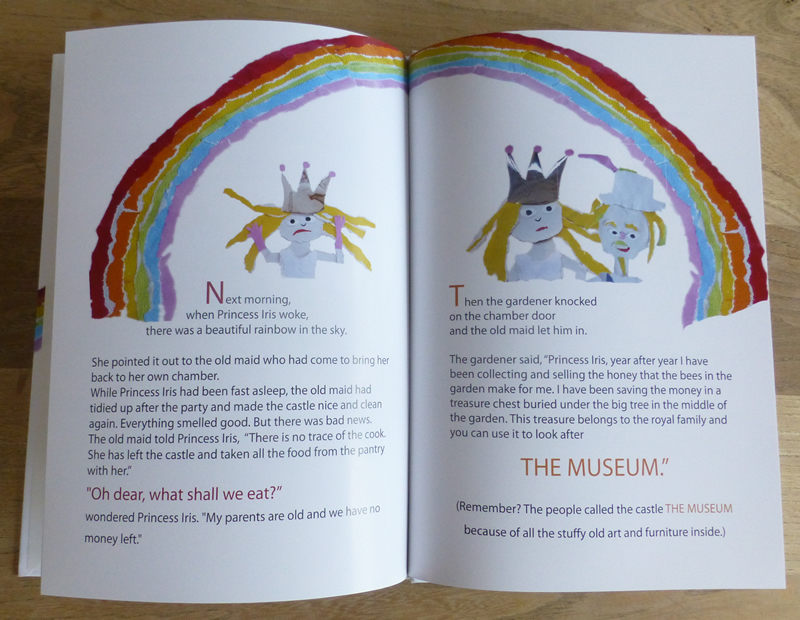 Order Princess Iris and The Rainbow Museum here. 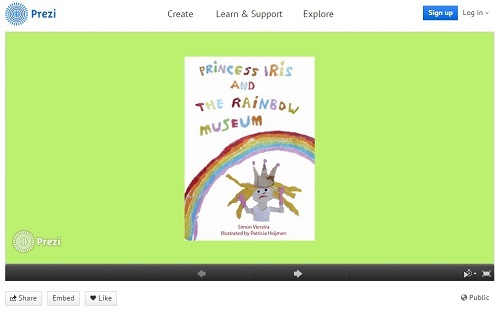 This entry was posted in Princess Iris and The Rainbow Museum and tagged book, fairy tale, iris, museum, Patricia Heijmen, Princess Iris and The Rainbow Museum, rainbow, Simon Vierstra on March 2, 2015 by The Rainbow Museum. This entry was posted in Princess Iris and The Rainbow Museum and tagged fairy tale, iris, Patricia Heijmen, Prezi, princess, Princess Iris, Princess Iris and The Rainbow Museum, Simon Vierstra, the rainbow museum on November 11, 2014 by The Rainbow Museum. We are glad to share this SlideShare presentation of PRINCESS IRIS with you. ‘Princess Iris and The Rainbow Museum’ was written by Simon Vierstra. Patricia Heijmen made the wallpaper art illustrations. This entry was posted in Princess Iris and The Rainbow Museum and tagged fairy tale, iris, museum, Patricia Heijmen, princess, Princess Iris, Princess Iris and The Rainbow Museum, rainbow, Simon Vierstra, slideshare, the rainbow museum on October 21, 2013 by The Rainbow Museum. This entry was posted in Princess Iris and The Rainbow Museum and tagged fairy tale, happy, iris, Patricia Heijmen, princess, Princess Iris, Princess Iris and The Rainbow Museum, rainbow, Simon Vierstra, the rainbow museum on June 18, 2013 by The Rainbow Museum.